"SECURITY AND VALUE BEFORE YOU START"
Call now because we will help! Charlie started building houses with blocks as a child. He was inspired by his Great Aunt - Jane Waters, who was an avid dollhouse designer collector from Rye, NY. At 18 before going to Parsons School of Design in NYC, he worked in Fairfield County with Luciani Builders and has accumulated over 27 years experience in Furniture, Interior Design, Building Code, Historic Restoration, Architectural Design/Details, Cabinets and Finish work. Charlie completed his Master's Degree at Claremont Graduate University in 1997. In the past year (2018) Charlie has had 11 major clients and worked in Charleston, SC, Mendocino County CA and South Eastern CT. Two of the eleven clients had work by well known Architects to be addressed. One was the Ulrich Franzen House on Pequot Avenue in New London. The house unfortunately had water issues due to a lack of overhang and gale winds off the water, which left flooding/drainage issues. The roof was redesigned to address the water issues without having a significant visual affect to Franzen's work as well as meeting hurricane code requirements. Work was conducted by Yankee Remodeler. The second was for a client whose home was primarily redesigned by Alchemy Architects in the early 2000s. Along with builder Niels Jebsen - Franklin, CT - Charlie designed an indestructible garage to house the homeowner's Lotus just yards from the Long Island Sound's potential hurricane force. Craftsman Mike Abbot completed the impressive high tech interior construction. Charlie has won an award for a Dining Table design at the Javits Center's Future Design Competition in the late 90's - part of the furniture show, several Fellowships and Grants in Graduate School and was asked to Join the Mystic Historic Society after a restoration to one of the Captain's Homes on West Mystic Avenue in Mystic CT.
Charlie has given lectures at the local Home Show, written guides to Home Additions for Homeowners, been mentioned on "This Old House Website", as well as worked with many builders and contractors in all phases of construction. He has volunteered with Habitat for Humanity and Grass Roots United building the Ebeneezer School in post earthquake Playa Pisco Peru, as well as the New London Community Meal Center & Special Olympics. Charlie Worked with Cliff Moran of Ridgefield on cabinets for the - Greenwald Residence in Weston CT, designed by Meis van der Rohe. Dakota Jackson on the Award winning Vikter Chair and Constantin Boym making prototypes for his conceptual Sears furniture. Charlie also volunteered at Extreme Makeover Home Edition in Voluntown, CT. 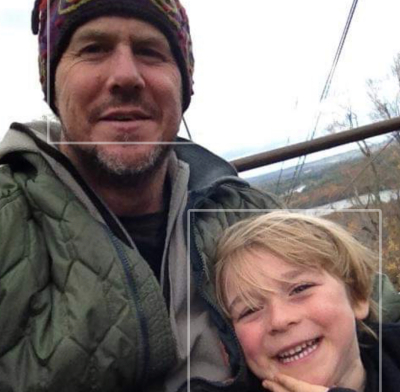 He is a trained Chef, Master's level Swimmer, Avid Skier, Surfer and Loving Father.